Niels Marcusen was baptized 1 June 1788 in Borge, Ostfold. He is in Fredrikstad in the 1801 census, and was confirmed in Fredrikstad in 1804. He moved from Onsoy back to Borge (Bjerkelund, Begby) as a widower and worker in 1856, and was still residing in Borge (Bjerkelund, Begby) in 1875. Does anyone have information about his marriage? 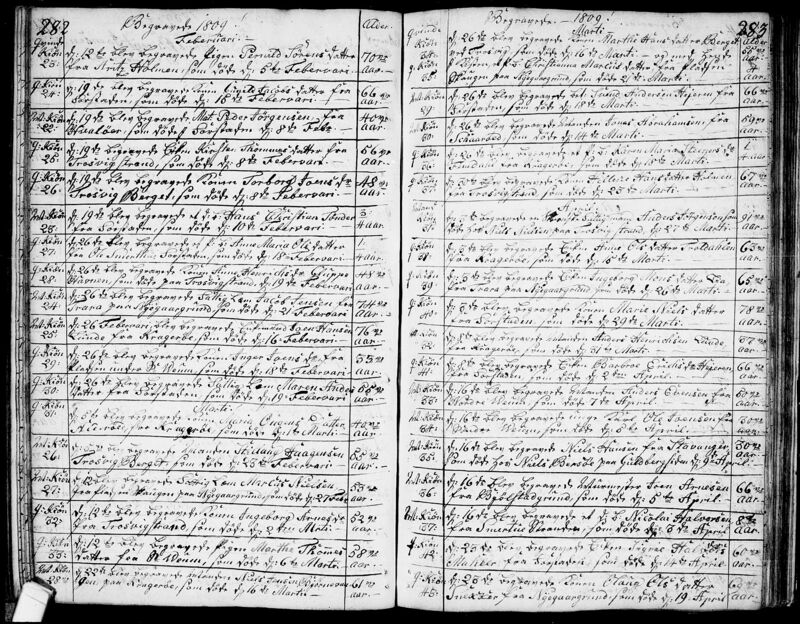 I have searched the following locations for a marriage record without success: Norway Digital Archives transcribed church parish marriage records for Glemmen 1803-1815, Norway Digital Archives transcribed church parish marriage records for Fredrikstad 1805-1816, and Norway Digital Archives digitized church parish marriage records for Onsoy from 1809-1830 and have not been able to find a record. In the "innflytterliste" for Borge there is a widower named Christian Marcusen, that has moved from Onsøy in 1856, born in Fredrikstad, residence: Bjerkelund. He has "attest" from Hobøl. He is age 56. Kildeinformasjon: Østfold fylke, Borge i Borge, Ministerialbok nr. I 5 (1848-1860), Inn- og utflyttede 1856-1858, side 391-392. Source information: Østfold county, Borge in Borge, Ministerialbok No. in 5 (1848-1860), Express expatriate 1856-1858, pages 391-392. Do you have a link to the 1875 census? I may have been given the wrong information--this is the same family from the 1801 census. Christian is the younger brother of Niels but it looks like it was Christian instead of Niels that moved from Onsoy to Borge in 1856. I do not have a link to the 1875 census. 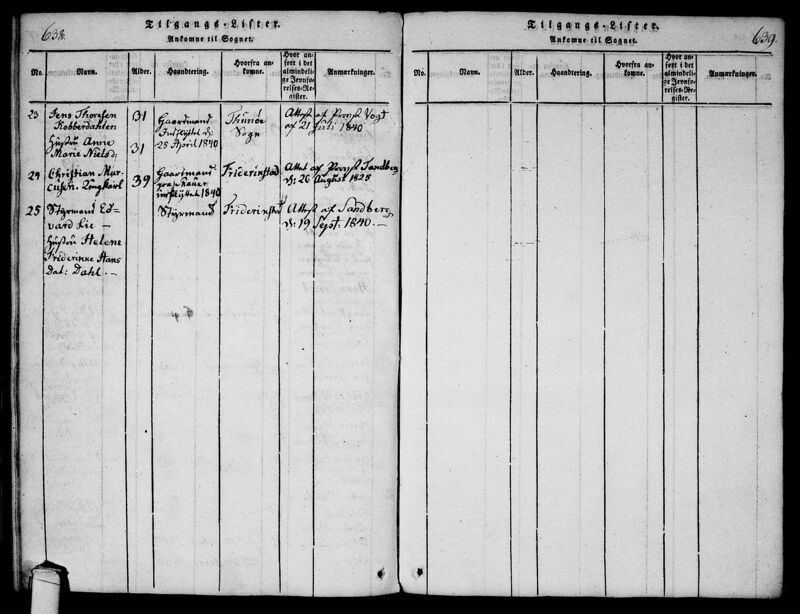 It looks like the information for Borge in the 1875 census is not available yet. I do not have any information on any of this family after 1809 except for child Andreas. I would be interested if you have additional information on any of this family from the 1801 census. "I do not have any information on any of this family after 1809 except for child Andreas. I would be interested if you have additional information on any of this family from the 1801 census." What last event is that in 1809? Do you have a link to the confirmation i 1804? Østfold fylke, Onsøy, Ministerialbok nr. 3 (1841-1860), Ekteviede 1842, side 254. Østfold fylke, Borge, Ministerialbok nr. I 2 (1791-1817), Fødte og døpte 1799, side 23. 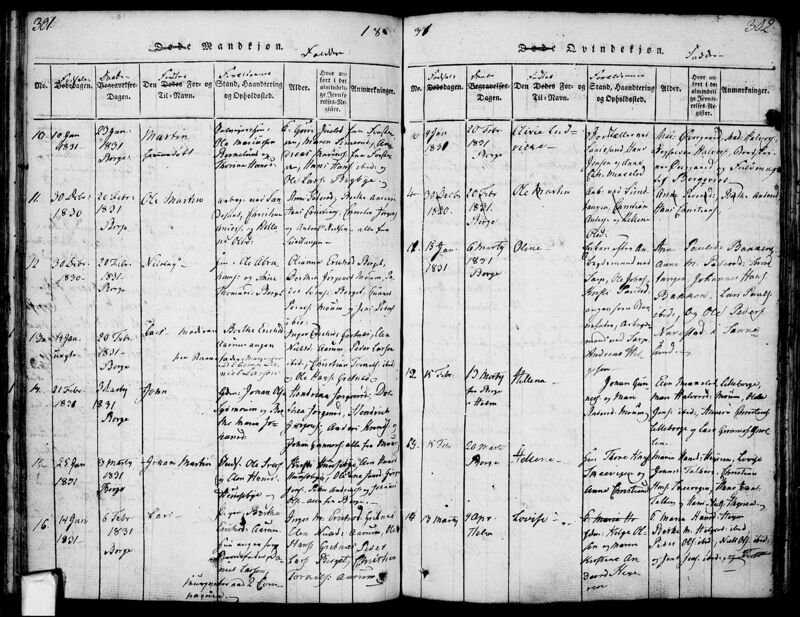 Here is the death record for Marcus Nielsen from 27 February 1809 - is this is the last trace of the family? Østfold fylke, Glemmen, Ministerialbok nr. 3 (1803-1815), Døde og begravede 1809, side 282-283. Thank you so much for all of your help. I have all the information for Niels' father Marcus Nielsen, his mother Anne Hansdatter, and his stepmother Pernille Pedersdatter. I also have the baptisms of each of his half siblings. 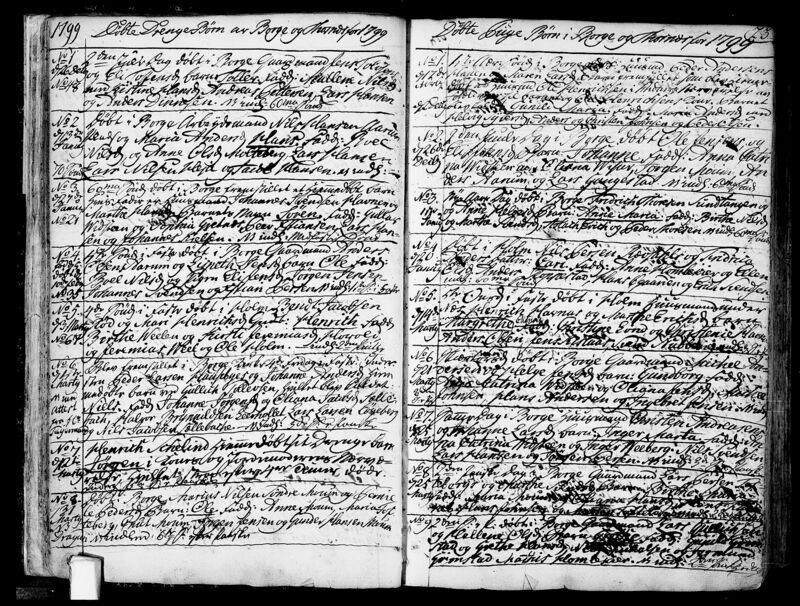 Andreas is my 4th great grandfather and I have his baptism, marriage, and baptism info for his wife and children. I have Marcus and Christiana's burial information in 1809 in Glemmen (Christiana is on the same image as Marcus). I recently was able to obtain death information for Ole and Christian. Your link to Christian's marriage was most helpful! I am trying to locate additionalamarriage and death information for each of the children in this family. The info I originally stated about Niels (except for his baptism and confirmation) is all wrong--the part from 1856-1875 is all related to Christian (my informer made a simple cut and paste error when sending me the information). Did Ole and Christiana die before their father Marcus? Do you know when and where Pernille Pedersdatter die? 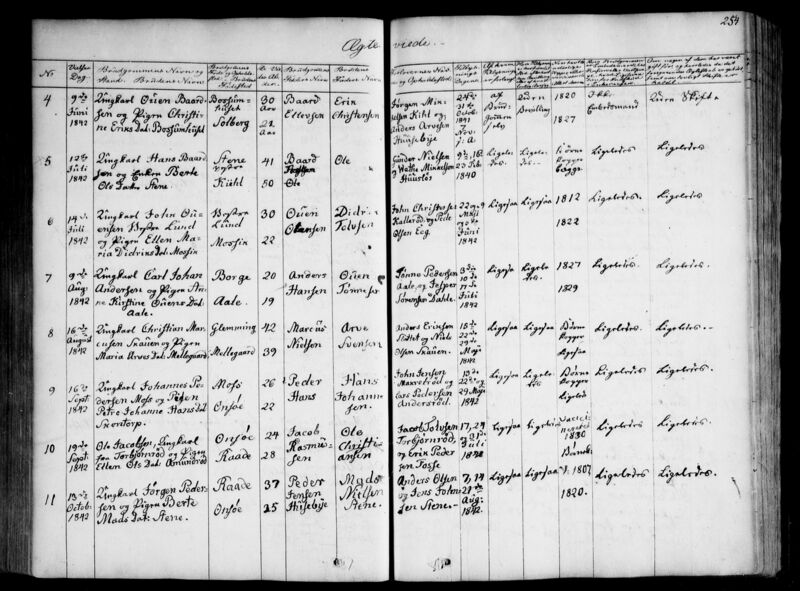 Source information: Østfold county, Onsøy, Parish register (official) nr. 2 (1814-1840), Imigration records 1840, page 638-639. 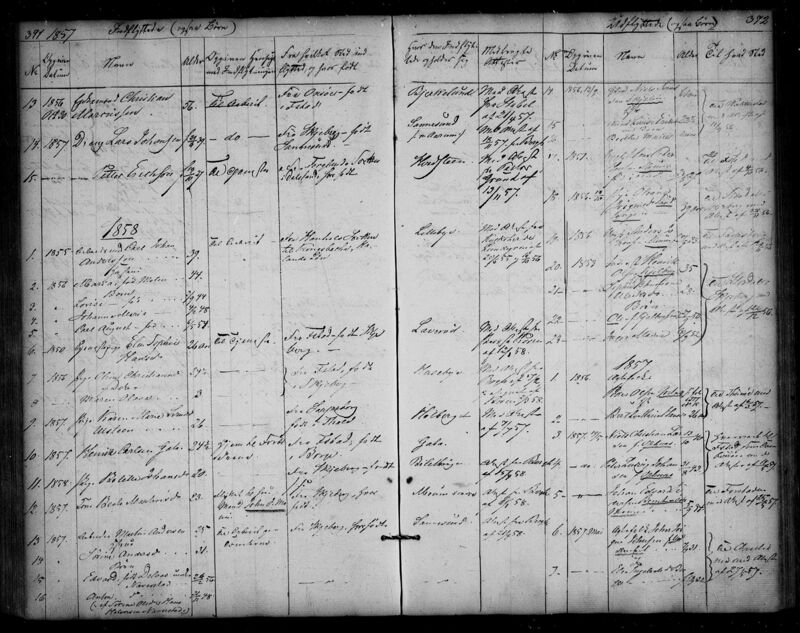 Østfold county, Onsøy, Parish register (official) nr. 3 (1841-1860), Death and burial records 1854, page 337. Note that the information regarding moving from Onsoy to Borges, and the 1875 residence information pertain to Niels half brother Christian, Initially I was told this information pertained to Niels but that is not correct. Pernille died at Bjerkelund in Borge in 1843 Permanent page link: http://www.arkivverket.no/URN:kb_read?idx_kildeid=7454&idx_id=7454&uid=ny&idx_side=-146. Do you have any information about Christian and Maria's children? Well, then it seems that Pernille must have moved from Fredrikstad (Glemmen) after her husband's death. Then you have already have found quite a lot information on the familly after 1809. BTW: I have not been able to find the confirmation of Niels Marcussen in 1804 i Fredrikstad. I have not searched for any children of Christian and Maria, but if they had children, then why did Christian move alone to Borge in 1856? Well, Thorine Hansdatter is found together with Christian Marcusen on Begbye in 1865, so then this is the right Ole Marcussen. I guess you have all the necessary information on Ole and his family. I just barely found out the information about Pernille's death from another source. I was told by this same source that none of Christian and Maria's children survived to adulthood but I haven't yet found any of these. Thanks for the additional info on Inger Maria! I still need to find additional info on Ole and his family but I am leaving shortly to go out of town for a few days so that will have to wait. I have not found any children of Christian and Maria. 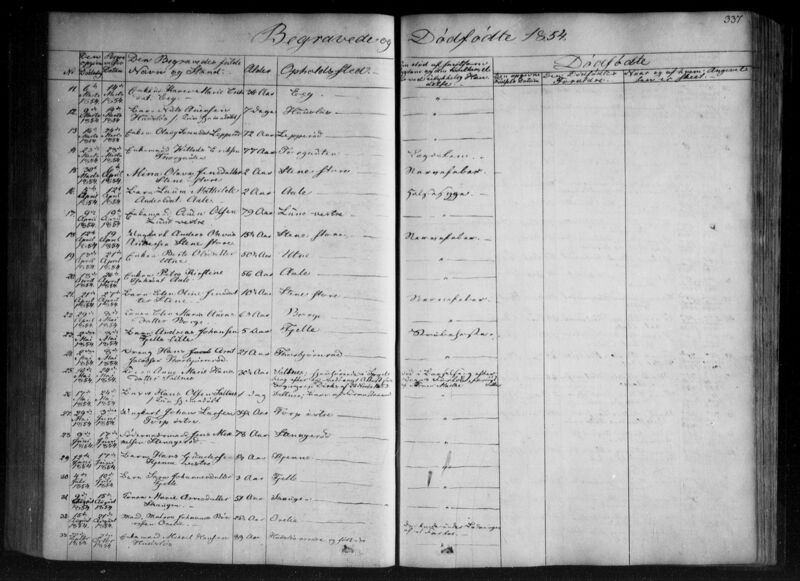 Østfold county, Borge, Parish register (official) nr. 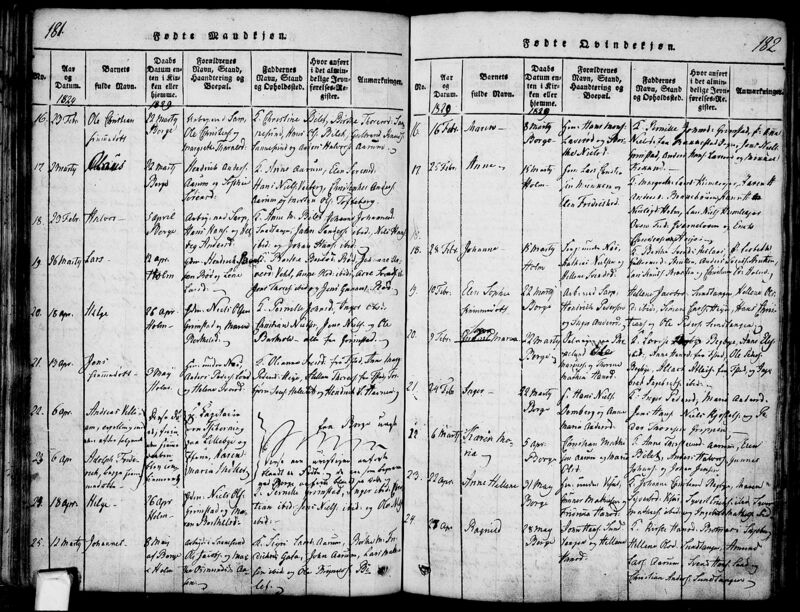 I 3 (1815-1836), Birth and baptism records 1831, page 301-302.